In some ways I still feel like I’m recovering from being on antibiotics for most of last week. I’ve forgotten, or happily blanked out, how unhappy they can make my insides killing off all the good bacteria too and I think things are still trying to get back to normal. To accelerate that process, I’ve been increasing my intake of probiotics by using Garden or Life’s Raw Protein in my smoothies this week. One serving has 17 grams of protein per serving, 33% of a recommended daily intake according to their site, while being low carb. And it also has live probiotics and enzymes to help the digestion area. 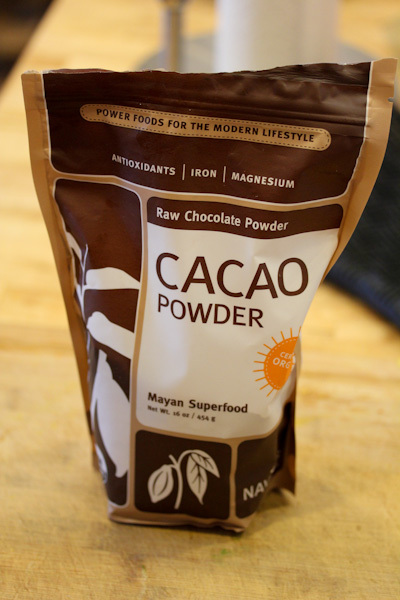 It’s in a very fine powder form that blends smoothly into smoothies. 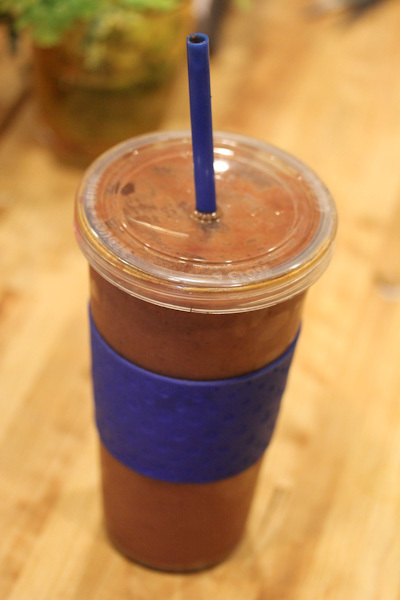 It does not have a lot of flavor since it’s not flavored or sweetened, but it blended beautifully with frozen banana chunks, frozen berries, carrots, cacao powder, and sprouted lentils for a filling, chocolate breakfast smoothie this morning. 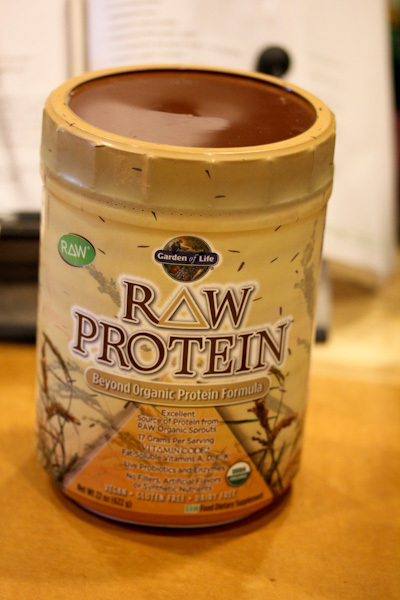 I have noticed it’s much easier on my stomach compared to raw hemp protein and a nice, mellow way to start the day. Plus it’s cheaper than other raw vegan protein powders which makes me happy too. Friday is almost here and it was another crazy and long day at work. Since I was flying solo for dinner tonight, I decided to have chocolate for dinner. Why not? 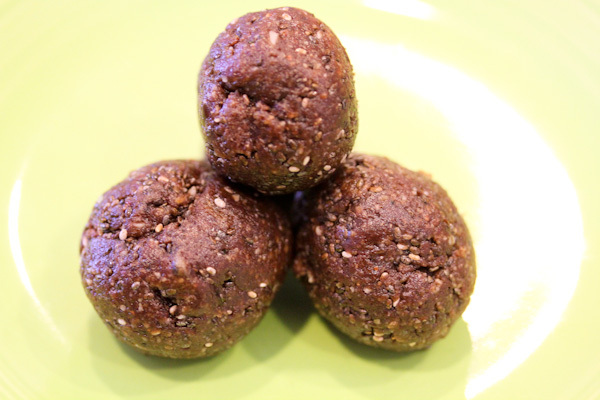 Well, in the form of another nutrient-dense raw dessert ball recipe I created. 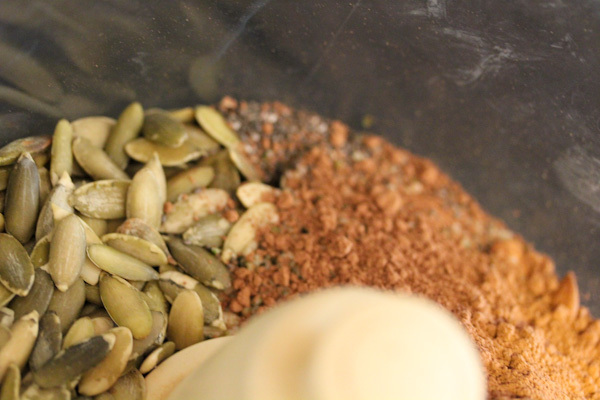 Place pumpkin seeds, hemp seeds, almonds, chia seeds, salt, and cacao powder into a food processor. 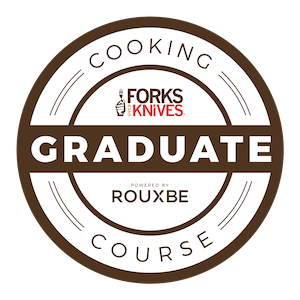 Processor to a powder-like texture. 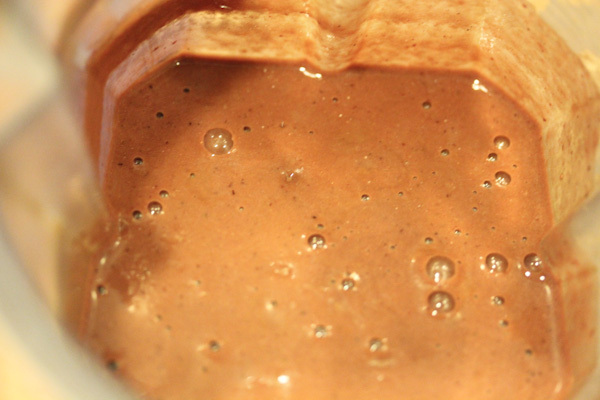 While food processor is running, feed in the pitted dates and liquid stevia and process until mixture is doughy. Roll dough into bite-sized balls and chill in the fridge or freezer for 20 minute. Enjoy! Makes 20-40 balls depending on size. 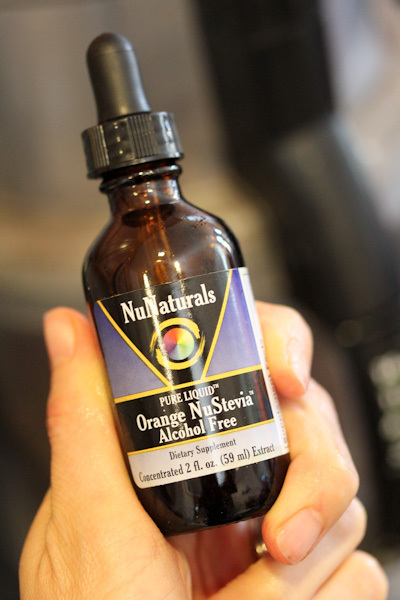 I’m having so much fun with NuNaturals Pure Liquid Orange NuStevia, a little bit goes a long way for flavor! The mixture gets very doughy after being processed for a few minutes practically turning into one big chocolate blob of yum. And it was a fabulously energizing pick-me-up dinner. 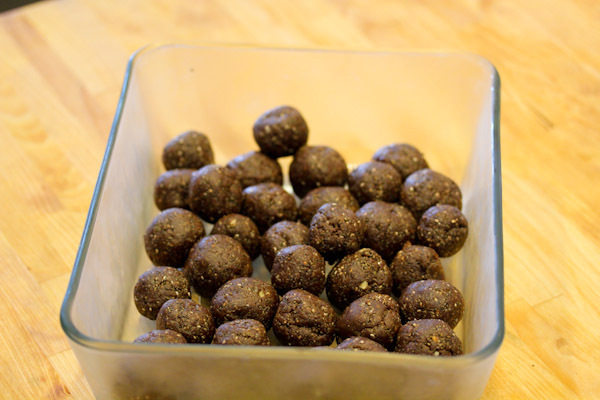 :-) The balls have a hint of orange flavor that’s not too strong and perfect for summer while the chia seeds add a satisfying crunchy texture to them. 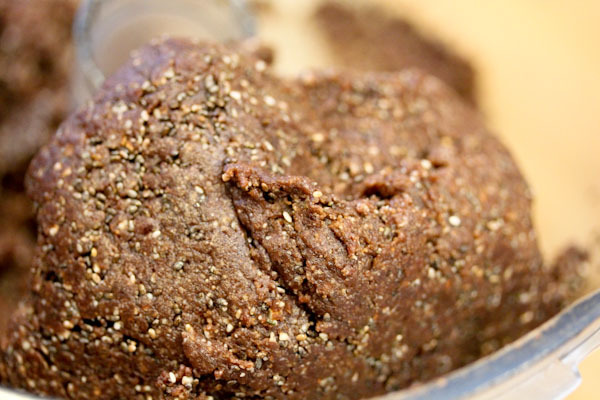 But they’re still very moist, chewy, and rich, like a dense, flour-less chocolate cake. I adore making big batches or raw dessert balls to store in the freezer, they’re great straight from the freezer and make an easily accessible dessert or snack for an emergency chocolate craving. 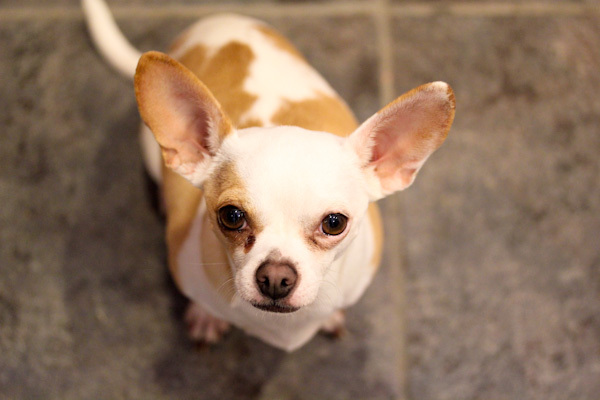 Sorry Miko, no chocolate for you! These are a great use for the orange stevia and I really like it in smoothies too, adds a nice summery citrus flavor. I really love to make dessert balls like that (there’s no way to say balls without sounding dirty, so I apologize). They really are so convenient! I don’t have orange stevia. What are good substitions? How about half a peeled orange? Would it make too runny? Hi Tiffany, about a teaspoon of orange zest would be a good substitution adding strong orange flavor without the liquid. I have to get back into my NuNaturals! I have so much stuff but haven’t been using it! Eeeek! 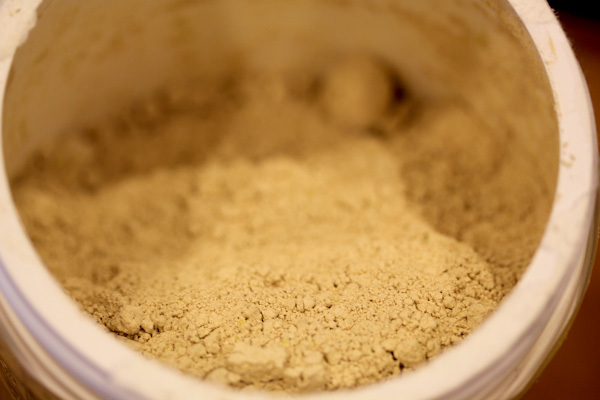 I’ve been ordering the NuNaturals powdered stevia from Amazon lately, great in coffee and smoothies.